I have to admit, I had no idea what a Salt Lamp was even supposed to be up until a few months ago. Some kind of fake rock with a light in it? The newest replacement for Lava Lamps? Strange Post-Modern Art? I began seeing them crop up in stores and thought they were nothing but a bedroom decor fad. One that I wanted to be a part of. I once owned a Lava Lamp and I’m a complete sucker when it comes to this kind of thing. I didn’t have much of an opinion on Salt Lamps other than the fact that I thought they looked pretty cool. I had no idea that they might be able to improve your health. Last week I was unexpectedly given one of these things on my birthday. I may or may not have been hinting that I wanted one for the past year, but I was still surprised when I opened the box. And despite the flowery assurances of improved health featured on the side of the packaging, I was mainly focused on the “room decor” side of things, not really paying much mind to any purported health benefits it may have. The first thing that I noticed about the salt lamp were its rich soothing color tones, especially the ambers and deep indigos and violets. I thought that this was all part of the aesthetic they were meant to provide, and nothing more, but I have long been aware of the healing properties of colors and how they are used in therapy. In fact, the different bands of color are actually gradients of a vibration, or wavelength, and each when absorbed by the body produces varying effects. The first night I used the lamp, after I turned off my bedroom light and observed the gentle colors the lamp was producing, is when I began to make the connection. I immediately thought this thing could be an excellent meditative tool, and I was right! I decided to take a quick ten minute meditation before bed and it was one of the more effortless and soothing sessions I’ve had in months. The color is what attracts us to the lamp, but its more subtle qualities are far more powerful, as I now realize. If you’re not “in the know,” prepared to be amazed. Salt, especially certain special kinds of salt (such as pink Himalayan salt), has incredible healing properties. This is not, by any means, woo-woo or mumbojumbo. The scientific properties of salt and its positive affects on the human body are well documented. I knew it was very beneficial to ingest pink salt, and that it could be used in other ways as well, but its use in Salt Lamps was beyond me. Through the process of evaporation, they literally cleanse the air. They are able to do this through hygroscopy, which means that they attract water molecules from the air then absorb them – as well as any errant particles they may be attached to. Once the lamp warms up, the water that was absorbed then evaporates back into the air and the trapped particles of whatever happened to be floating around your room, stay within the salt. It has a similar effect on the electromagnetic quality of your environment. The negative ions that are emitted by the chemical processes of the salt, have a wide range of effects, from aiding in concentration, to relieving insomnia, headaches, and depression. I lead a rather hectic life. This is a not uncommon theme for anyone who is runs digital agencies, work-from-home outfits, and blogs, all while finding the time to exercise, eat healthy, enjoy hobbies, and maintain a social life. Needless to say, I do feel the effects of 16-hour work days, deadline crunches, and uber-multitasking. All the quinoa and kale in the world can’t put much of a dent in that. This week has been especially hectic, and before my mandatory morning cup of coffee I was dragging hard. However, even after the first night of sleeping with the Salt Lamp in my room, I woke up feeling slightly more refreshed. I didn’t really think anything of it the first time, but after three nights of progressively better mornings (despite increasingly hectic days with less hours of sleep each night), I’ve awoken more refreshed, more energized, and with less congestion. It’s no wonder why these things are popping up all over the place. Not only are they a nice addition to any room’s ambience, they do seem to have some kind of a palpable effect on health. There are hordes of testimonials for salt lamps scattered around the Internet, so it’s not just fluff. I recommend picking one up just for the aesthetics and low power usage alone, but you might want to experiment with one just to see it helps you sleep or eases your allergy symptoms. It’s hard to say what effects, if any, the lamp might have for any given person, because you don’t know the water density of the air in your house, what substances might be floating around the air, and what specific trace minerals might be found in your particular rock that would be beneficial for your ailments. What’s important to note however is that raw minerals in general are extremely important for our health. After all, we are composed of minerals, many of the very same ones found inside of Salt Lamps, and in this state they are extremely beneficial for us. It seems, given the evidence of how salt lamps positively affect their owners, that you might be surprised with the results. 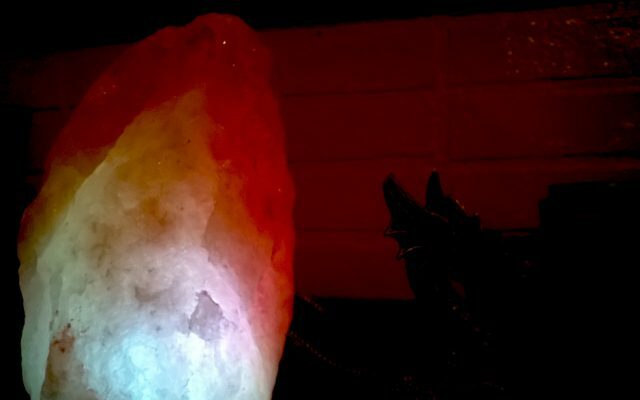 Logic alone would tell you that the concept behind salt lamps would at the very least gently alleviate some chronic health conditions we face, especially in terms of releasing negative ions, so I would say that for most people, it’s worth the investment. And if it turns out yours doesn’t really do anything for you, you still got yourself a pretty cool lamp. I’m going to be doing a follow up on this post after a couple weeks to see if the lamp continues to impress. If you have any questions for me, let me know in the comments below. After a couple months of testing, I must say that I am even more surprised with the results from my salt lamp. 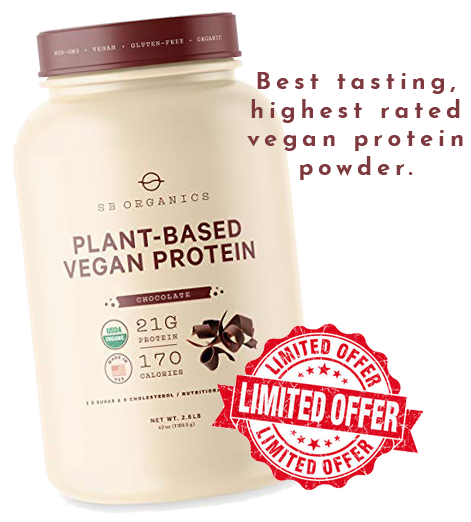 The initial energy boost and feeling of improved health that began once I started using it never really abated, and only seemed to lull on the few times I decided not to use it. Since I began, there was only one morning in the past two months where I woke up feeling out of sorts, groggy, and somewhat under the weather, and it was on one of the nights when I decided not to use it. Not conclusive evidence by any means (I pull late nights and 16 hour work days, so bad mornings are almost expected here and there! ), but interesting nonetheless. Perhaps what’s more interesting is the research I’ve done into Himalayan Pink Salt Lamps. It seems that despite this appearing like some kind of new fad, salt has been used for centuries in various forms for healing. One of the reasons why it was highly coveted in ancient times was not just to flavor food. They used it to preserve food, preserve the dead, in religious rituals, and in healing practices. Salt in water, for example, has its origins in the ancient Middle and Near East, where it was used as a detoxifying mist, not unlike the purpose of modern salt lamps. Monks in the Himalayas actually would rub salt on the body, as well as make rudimentary salt lamps. Quite simply, salt has been used pretty much for millennia as a tool of healing. It’s only in modern times have we grown accustomed to artificial, refined, table salt as being the standard. It wasn’t always the case. There’s really no reason not to have one of these things. They look great, absorb the impurities out of the air, and will often have you awakened refreshed, with little to no grogginess. May update again when I learn more. If you guys have experience with salt lamps, drop some wisdom in the comments! I didn’t know that there’s a “Salt Lamp” and it really has health benefits as being a Salt. It’s incredible that salt can do all those things! Add to that, it is a beautiful home decoration. I might give one to my wife, she would definitely love it. I have this one at home but I never knew about its health benefits. It already looks beautiful as a bedside lamp. Who knew they’d do wonders to one’s health too? I’m so glad I was given this on my birthday. Salt Lamp is truly wonderful! They really are. After using mine for a year I have to say there’s a noticeable difference in the air when I forget to turn it on for a few days. I should say it’s beauthiful. And very useful too! I should get one of these! Wow, this are creative DIY lamps. Thank you for sharing this to us will definitely make this for my sons room.